A fantastic mix of BRSCC championships make their first visit to Snetterton in 2019 with a busy weekend of open and closed wheel racing. Competing this weekend will be the Avon Tyres National Formula Ford Championship, BRSCC Mazda MX-5 SuperCup, Civic Cup, BRSCC Alfa Romeo Championship, Toyo Tires Porsche Championship. Thundersport GB Bike Club returns to Snetterton this weekend for a weekend of 2-Wheel action. The "Ace of Clubs" race will headline the weekend, but expect all classes from full Superbike specification machines to the world renowned Thundersport Superteens. Over 34 races are packed into the weekend. You can keep track of all the runners and riders with a free full-colour programme. Thundersport GB Bike Club returns to Snetterton this weekend for a busy weekend of 2-Wheel action. Over 34 races are packed into each weekend. 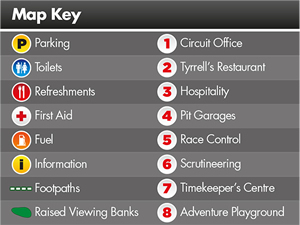 Click here for details on local hotels and bed & breakfasts near to Snetterton. You'll find the circuit 10 miles north-east of Thetford on the A11 from London to Norwich. 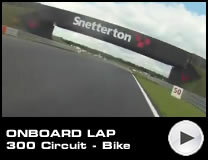 Snetterton circuit is one of the UK's finest motor racing facilities, not just for competitors but for spectators too. Owing to its extensive redevelopment in 2011, Snetterton blends a challenging and complex layout with fast straights to create a unique challenge - much of which can be viewed from raised viewing banks which offer some of the best viewing areas in the country. The Snetterton 300 circuit hosts rounds of the British Touring Car Championship, British Superbike Championship, British GT Championship, and countless other club-level and historic categories on both two and four wheels, as well as festivals and car shows. 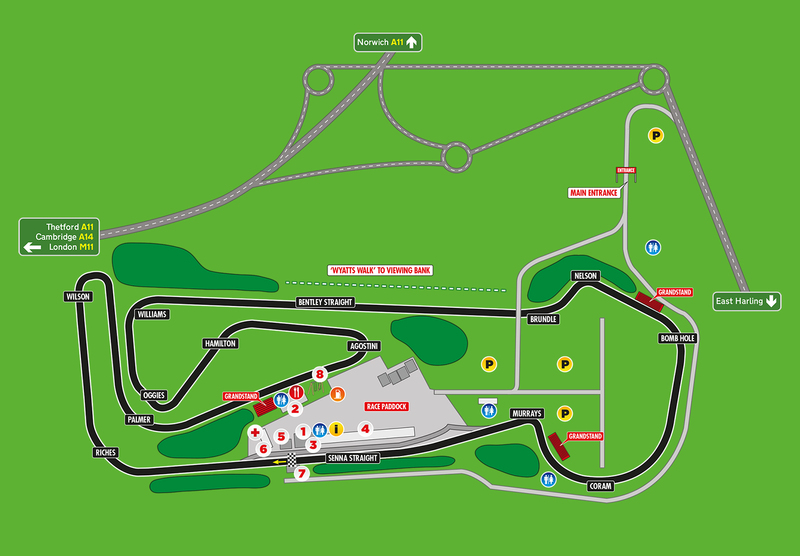 Designed by circuit boss Jonathan Palmer, the 300 circuit takes inspiration from a number of the planet's leading motor racing venues, whilst the 200 circuit retains the spirit of the original airfield layout and can be run simultaneously with the short 100 loop, which is popular with sprint competitors. The circuit's corner names are drawn from some of motorsport's greats, from two-wheeled legend Giacomo Agostini to current F1 superstar Lewis Hamilton, whilst Wilson is named in honour of Palmer's former protégé Justin Wilson who was killed in the USA in 2015. In addition to racing, Snetterton is a popular test track and has been used as a proving ground for a number of high-profile racing cars. Snetterton's original purpose was as an RAF airfield, designated for use by the 96th United States Air Force Bomber Group between May 1943 and November 1948. The circuit itself was created in 1951 from the network of remaining runways and its first race event was held in the same year by the Aston Martin Owner's Club. 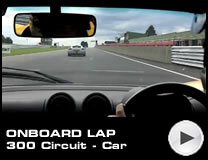 The circuit configuration has changed several times during Snetterton's 60 year history. In the 1960s and early 70s it was 2.7 miles in length and a large section ran almost adjacent to the A11 road, before a sharp hairpin turn and a long run back to what are now the Brundle and Nelson corners. During this period Russell Bend was added as the final corner of the track, in order to slow race vehicles as they approached the pits. Since the 1970s, however, the lap was shortened considerably to just under two miles until 2010, when circuit owner MSV announced the greatest redevelopment in the venue's history to create a new multi-configuration layout, completed in February 2011. Snetterton has hosted many significant events over the past six decades, including non-championship F1 encounters, the first Formula Ford events and the UK's first ever 24 hour race, the Willhire 24 Hour, which ran from 1980 to 1994. It is also a renowned testing venue and has contributed to the development of many race winning cars, including those from the Lotus factory such as the DFV-powered 49 and the Indy 500-winning 38. Most recently, a host of Le Mans 24 Hour cars have been developed at the Norfolk track, including Bentley's first Le Mans car for 70 years, the EXP Speed Eight. The all-conquering Audi R8 and Williams BMW LMP were also spotted first at Snetterton.